As you might have heard, Steve Martin is here with us at the center to teach some Sidemount Course. Sidemount diving has been around for decades in the cave diving world, but now it’s becoming very popular for all levels of divers, not just in caves, but the open water diving environment as well; in particular with some recreational, technical and advanced wreck divers. Sidemount is also growing in popularity with divers who have difficulty handling the heavy double tanks commonly used in technical diving. 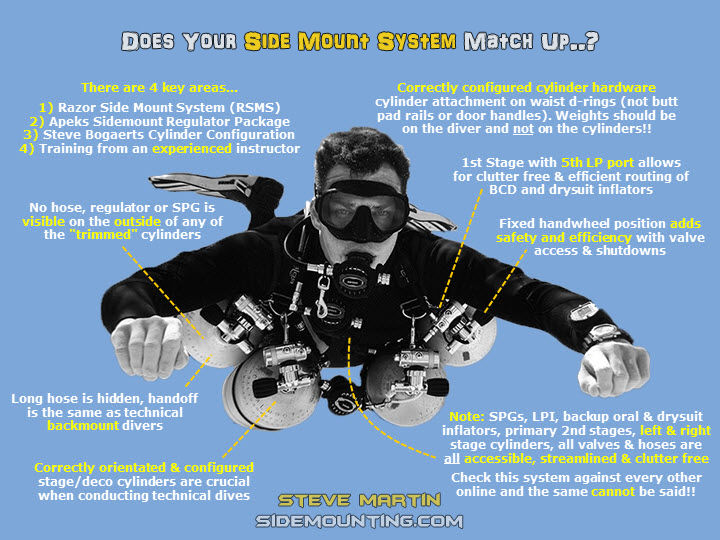 Side mount diving allows the diver many advantages over standard back mounting configuration. – Ability to fully manipulate valves and regulators. The safest option in terms of air management. – It gives you a better buoyancy control as your back is free and you are more streamlined in the water which reduces drag and makes finning and moving through the water much easier and more efficient. – Offers a greater comfort level. 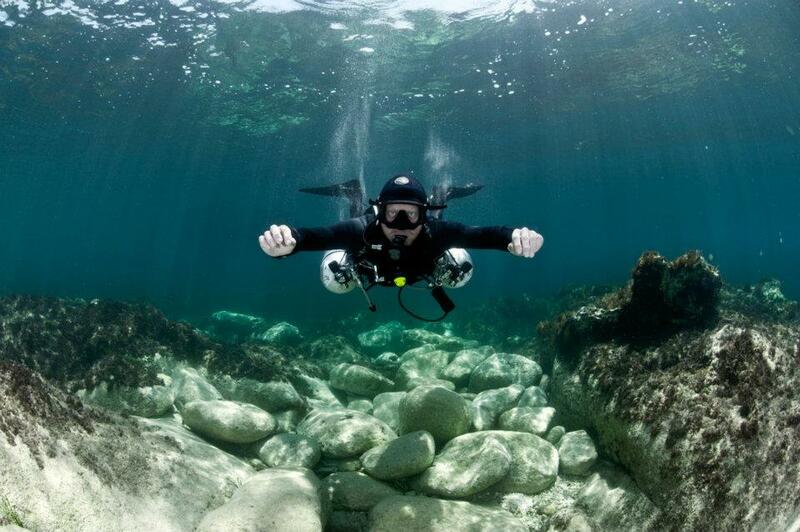 Sidemount equipment and harness are custom fit to each individual, accommodating divers of all shapes and sizes. For the one of you who are not familiar with it yet, the picture below shows you a typical SM configuration. Have we convinced you yet? Give it a try, you won’t regret it! Next Next post: Diving with eagle rays in Comino!